The large south facing sliding doors of this lovely property in Surrey were in need of some extra shade. 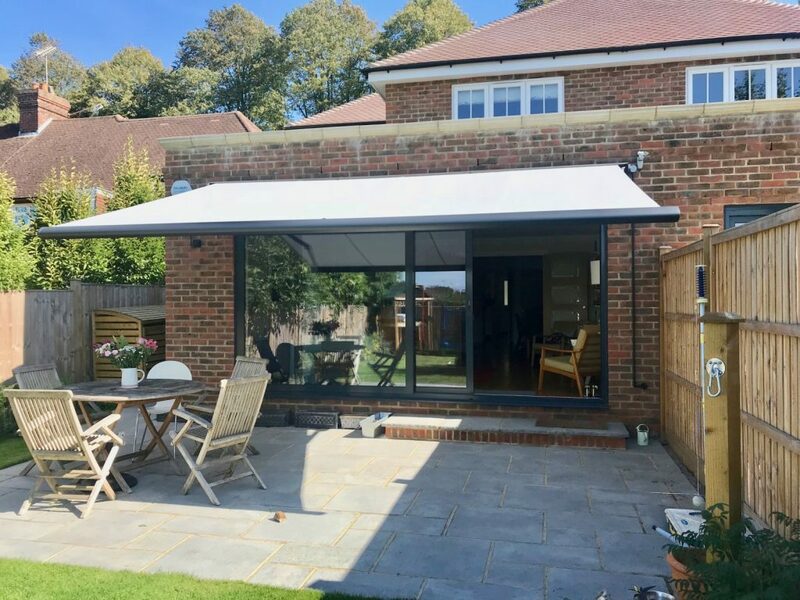 This motorised awning can be opened and closed at the touch of a button to provide instant respite from the sun and an automatic wind sensor will retract the awning if it becomes too windy. Read more. 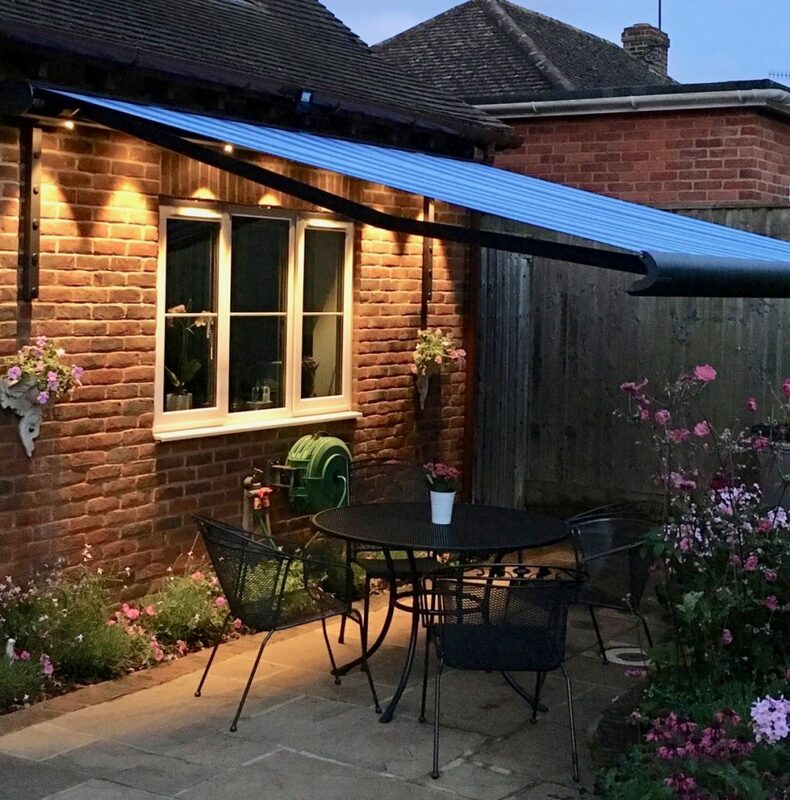 We fitted this Weinor Opal Design II Awning with LED lighting to a property in the beautiful Salisbury countryside. Our client wanted some shelter for their stunning outdoor patio area to allow them to entertain guests and enjoy alfresco dining all year round. Read more. This weatherproof Weinor Plaza Viva Pergola style awning was fitted for a client in Newbury. This clever awning provides shade from the sun as well as shelter from the rain. It can also withstand strong winds due to the supporting legs. Read more. 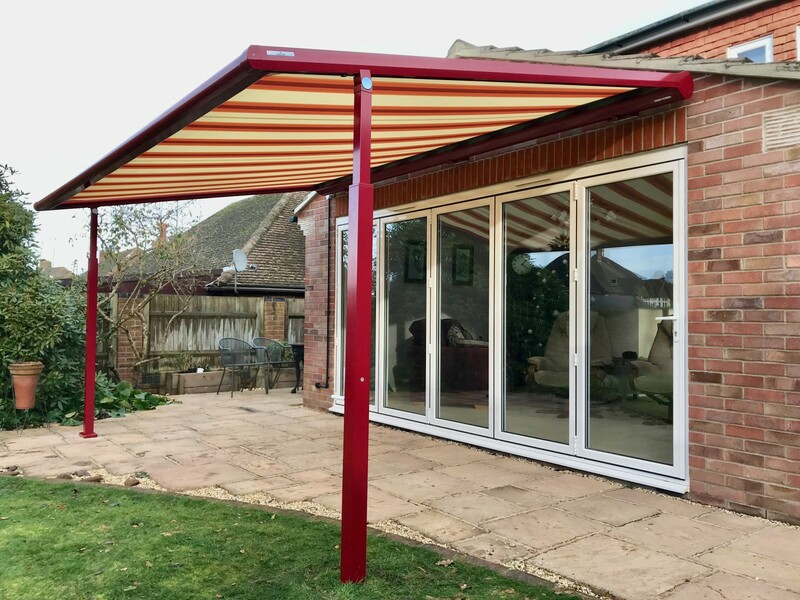 If you are thinking about an awning for your garden, patio or balcony for 2019, get in touch with our friendly sales team to book a free design consultation.